Retiring Fianna Fáil TD and former Taoiseach Bertie Ahern says he regrets that he did not leave a national stadium behind as part of his legacy. Leaving the Dáil today after 34 years, the outgoing TD for Dublin Central said that when he sees countries such as Qatar successfully bidding to host the World Cup, he regrets that he did not manage to secure the building of a national stadium during his time in office. 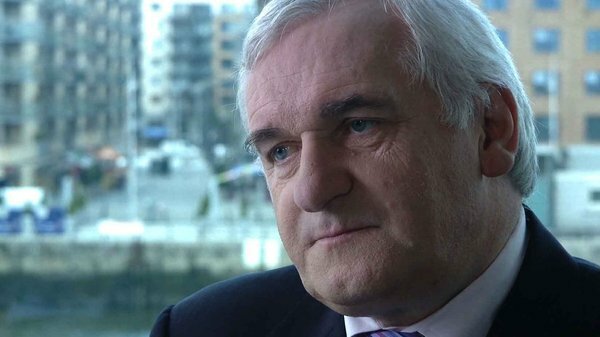 When asked what his biggest regret was leaving office, Mr Ahern said he regretted not being aware of the crisis affecting Irish banks earlier. 'In politics there are lots of things you'd like to have achieved. I certainly would like to be leaving today with unemployment at 4% and economic growth still being the 10-11% as it was for many years I was there. 'I would have loved if somebody somewhere had told me what was going on in the banks in this country but nobody ever did. You get wise after the event. 'I still think we didn't get a proper, national, infrastructural stadium, unfortunately. 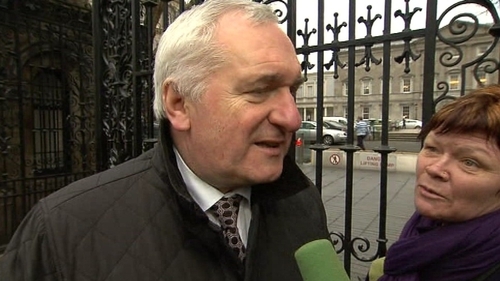 He also said that he believes Fianna Fáil is standing too many candidates in the forthcoming General Election. Mr Ahern was confronted by a member of the People Before Profit Alliance as he spoke to the media outside the gates of Leinster House.